The Ethical and Religious Directives state that a “Catholic health care institution will be a community of respect, love, and support” for patients and their families as they face end of life. This document, presented by the United States Conference of Catholic Bishops (USCCB), serves as a guide for today’s Catholics regarding certain moral issues as they relate to health care. Samaritan Hospice’s Catholic services provide comfort, support, and dignity during your end-of-life journey. 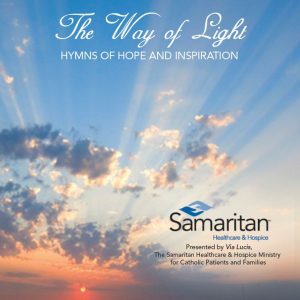 To support the Directives and Catholics in our community, Samaritan launched Via Lucis – The Samaritan Ministry for Catholic Patients and their Families – in 2006, with the assistance of The Dioceses of Camden and Trenton. The program is shepherded by a team of South Jersey Catholic hospice and palliative care professionals whose guidance emphasizes reverence and sensitivity for Catholic sacraments, traditions, and moral teachings. Want to Learn More About Our Catholic Hospice Services? Approaching end of life is a sacred time. It’s a final season to seek closure in this life and prepare for the next in hope of sharing in Christ’s Resurrection. Samaritan’s mission for Catholic patients and their families is Via Lucis or a Way of Light. This concept was inspired by The Stations of Resurrection and the most joyful time in the Christian liturgical year. It symbolizes a devotion to participate in the life and joy of the Risen Lord now and forever — even during end of life. 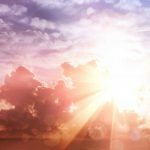 During this journey to stand before God in judgement, you may have questions about hospice care and how it pertains to assisted suicide, nutrition and hydration, euthanasia and your Catholic faith. We invite you to continue reading as we explore Catholicism and hospice care. please call Samaritan at (800) 229-8183. What is The Role of the Spiritual Support Counselor? The spiritual support counselor is a key role of the interdisciplinary hospice team. Samaritan counselors serve as non-denominational advisers and can meet the spiritual needs of all patients and their families. They’re ready to journey with you whenever the path of your life – and faith – leads. Our experienced counselors are Catholic chaplains, pastors, reverends, and rabbis who are ready to provide you the best possible spiritual care. 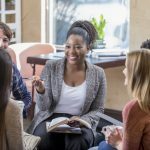 Counselors have board certifications in Catholic Chaplaincy, Master’s Degrees in Pastoral Care & Counseling, Certifications in Marriage and Family Therapy, and Certifications in Pastoral Counseling. They also have Master’s and Doctorates in Ministry, Clinical Fellowships in Hospice and Palliative Care, and Rabbinic fellowships. The counselors can help encourage meaningful life reflection, explore spiritual concerns, provide a safe space for doubt, make sense out of life’s changes, address anger and fears, and much more as it relates to your faith. 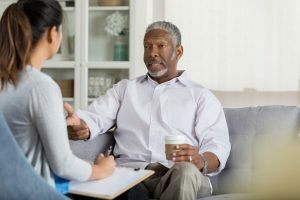 The counselor can also make Catholic community connections like coordinating a visit from your priest, providing Holy Communion, and fulfilling a request for the Sacrament of the Sick. The counselor can recite prayers, like The Lord’s Prayer, or read passages from The Bible like Psalms 23, and read and/or discuss various Scripture. Samaritan developed a special Catholic hospice kit for each Catholic patient and family to assemble a Table of Blessing for their loved one who is gravely ill. 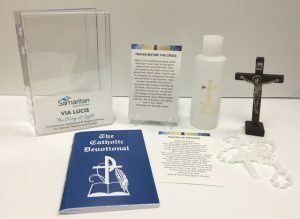 The kit includes holy water, a plastic rosary, two prayer cards, a Catholic Devotional, and a crucifix. The Via Lucis Committee hopes that this lovingly assembled selection of sacramentals will help you and your family find hope, grace, and the solace of prayer as you support each other on this sacred journey. The Church affirms that death is not the end of life, but the beginning of life eternal. Additionally, all life, from conception to natural death, is sacred, and those whose lives are diminished or weakened deserve special respect. Catholic hospice is peace of mind for you and your loved ones. The expert medical team is available 24-hours a day through on-call staffing. If you have a question or a crisis, a hospice expert is ready to help – even in the middle of the night. Watch this video about our after hours staff. 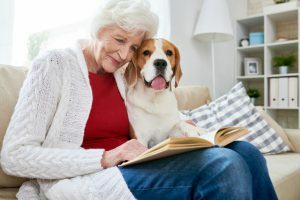 Care is provided where you live, whether it’s your own home or that of a loved one, or an assisted living facility, or a nursing home community. The focus is on creating a peaceful, dignified environment that brings comfort to you and your loved ones. Hospice helps you maintain dignity in your final days. The USCCB states that, “something essential is missed whenever [someone’s] dignity is overlooked.” Every person possesses a God-given dignity. And utilizing hospice care services at the end of life insures this dignity is honored. Hospice care keeps you or your loved one clean, comfortable, and as pain free as possible – the foundations of dignity. 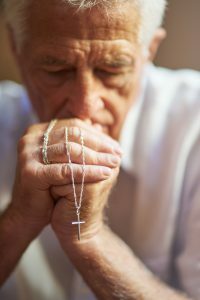 Did you know that towards the ends of life, about 95 percent of Catholics who have been away from the regular practice of their faith express a desire to return to their faith? The Samaritan Hospice Via Lucis Committee, along with Samaritan’s spiritual support counselors, are prepared to assist you to be welcomed by the Church, if that is what you desire. Your spiritual needs are very important to us. 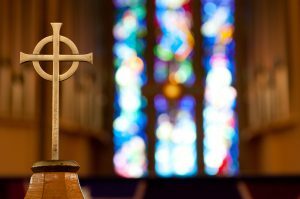 Our ministries will nurture you as you return to your Catholic faith. We’re ready to journey with you wherever the path of your life leads. Catholic hospice care is covered by Medicaid, Medicare, and private insurance. 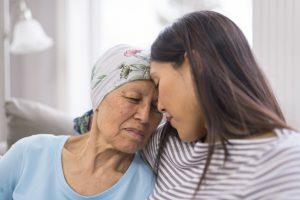 You and your family are encouraged to check with your insurance provider to find out what’s included, however most hospice-related medications and medical supplies are not charged to you and your family. Hospice also helps families through bereavement support after the loss of your loved one. We’re still here to offer you the right amount of support after your family member passes away. Does hospice care support assisted suicide? 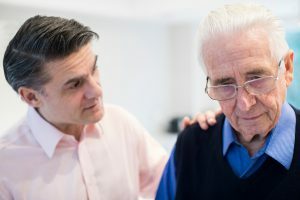 The Catechism of the Church states, “decisions should be made by the patient [or their caregiver], and in accordance with their morals,” meaning that your intention is not to cause the death of your loved one. Does hospice care support withholding nutrition and hydration? No. The Church teaches that nutrition and hydration, like bathing and changing a person’s position to avoid bedsores, is ordinary care that is owed to the patient. A patient can have a feeding tube while receiving hospice care. However, when you become seriously ill, your appetite decreases. When you near the end of life, your body’s need for food and end-of-life nutrition is also altered due to decreased activity and metabolic changes. The Church says nutrition and hydration may be discontinued when you cannot achieve your natural purposes, such as when the body can no longer process them. Many families struggle to get their loved one to eat and it can cause friction. Samaritan hospice care experts advise families to avoid such a “food struggle” by allowing their loved one to eat what they want when they want. Does hospice care support withholding medical procedures and equipment? Choosing Catholic hospice care means choosing comfort, support, and dignity. It also means choosing to forego any curative or life-prolonging treatments. With that in mind, sometimes medical procedures and life-sustaining treatments are “burdensome, dangerous, extraordinary or disproportionate,” as written in the Catechism of the Church, article 2278 about the respect for human life. Hospice care provides special respect for you and your loved one and includes a personalized care plan to meet physical, emotional, and spiritual needs fulfilling the Ethical and Religious Directives set to guide Catholics when making healthcare decisions. Furthermore, the Church does not promote vitalism (preserving physical life at all costs), but rather asks us to embrace the virtues of fidelity (faithfulness to those in need), compassion (suffering with those who are suffering), and individual dignity. 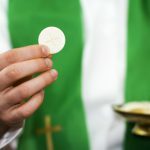 When Receiving Communion Isn’t Possible – Coming soon! Prayers for Peace and Comfort – Coming soon!